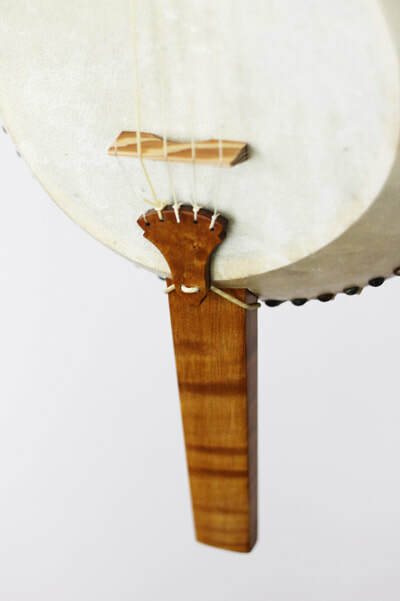 These banjos are also endlessly customizable with variations in wood type and finish, and neck silhouettes as variable as those found in the banjos of the mid-19th century. 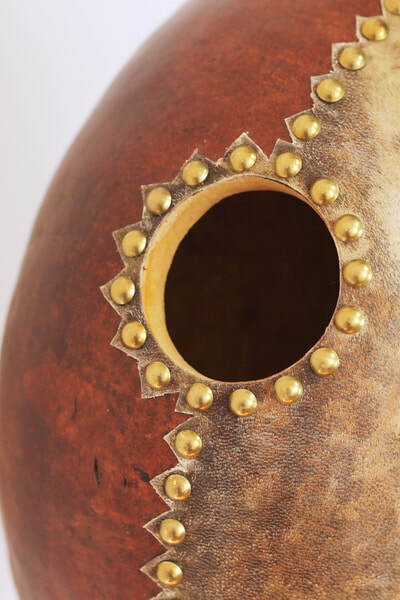 You can view options, customization, and pricing via this form. 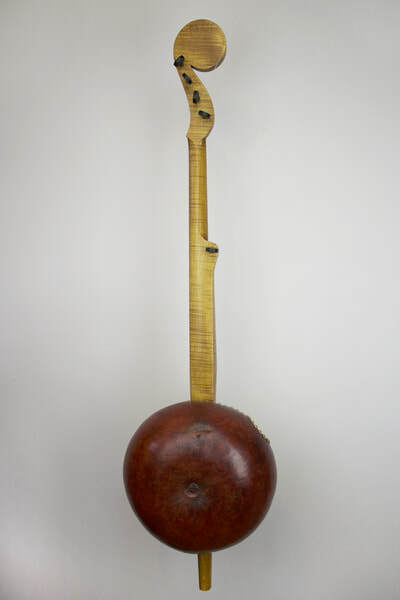 Price generally includes figured wood and stained gourd. 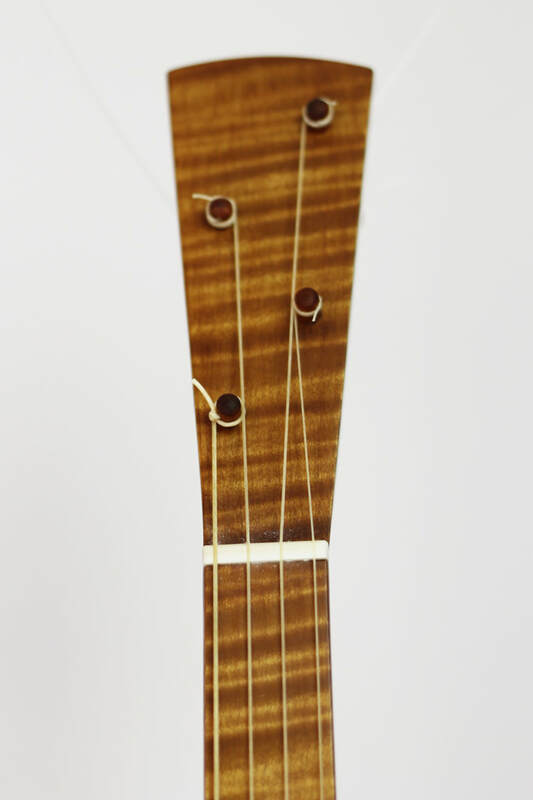 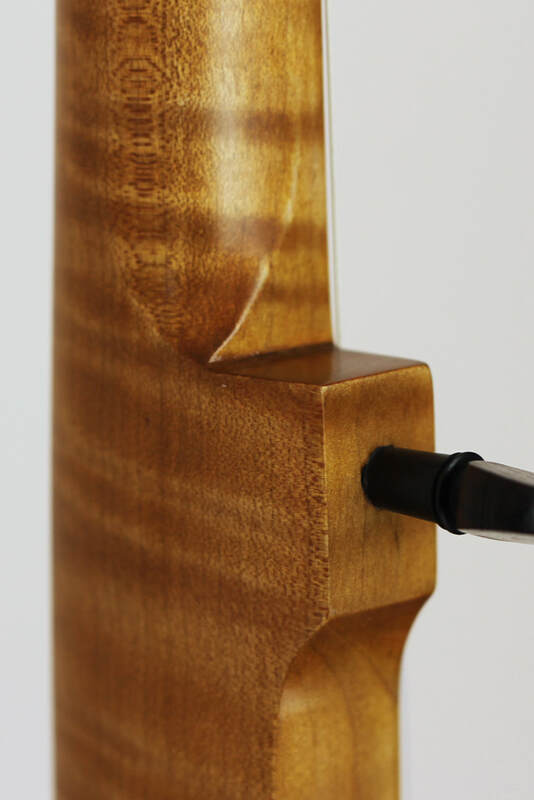 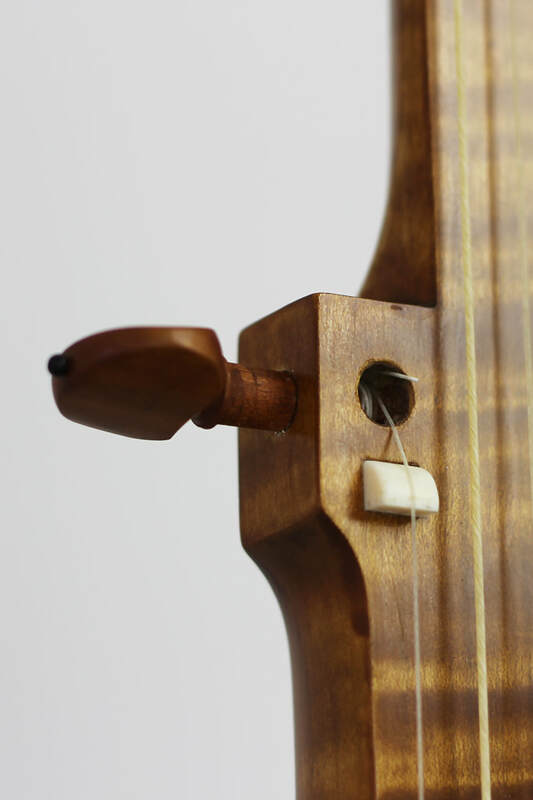 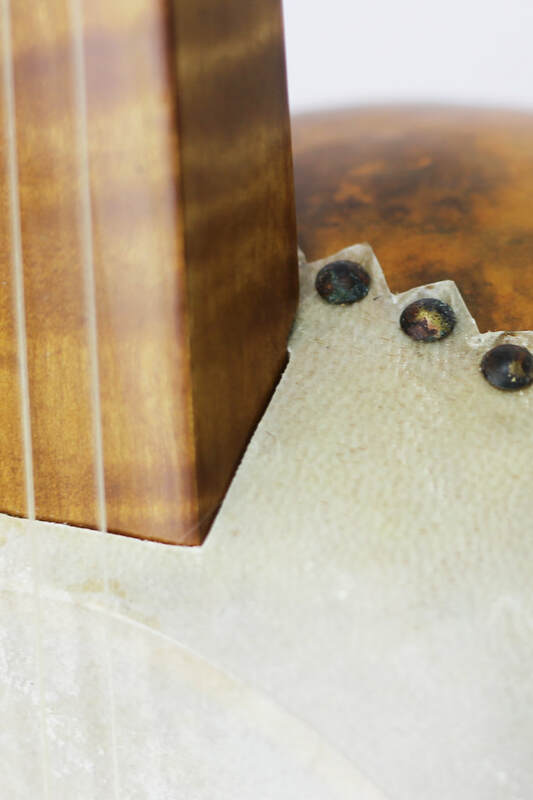 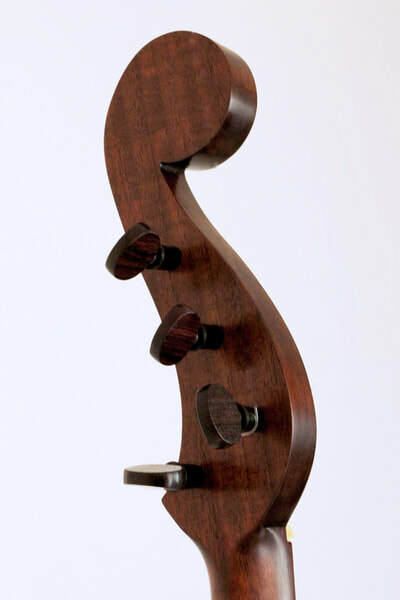 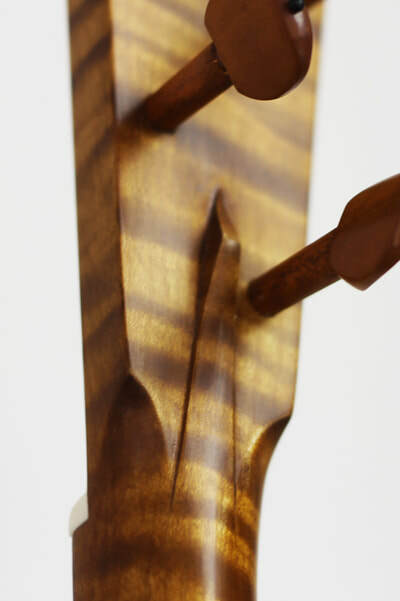 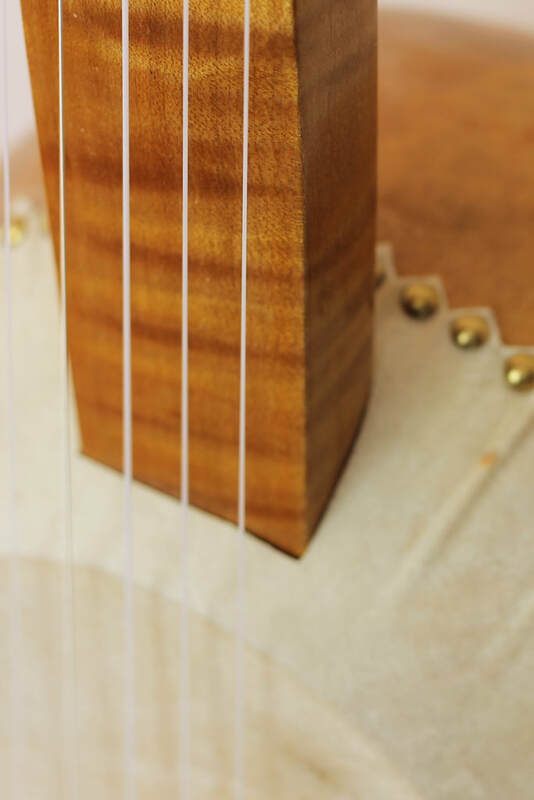 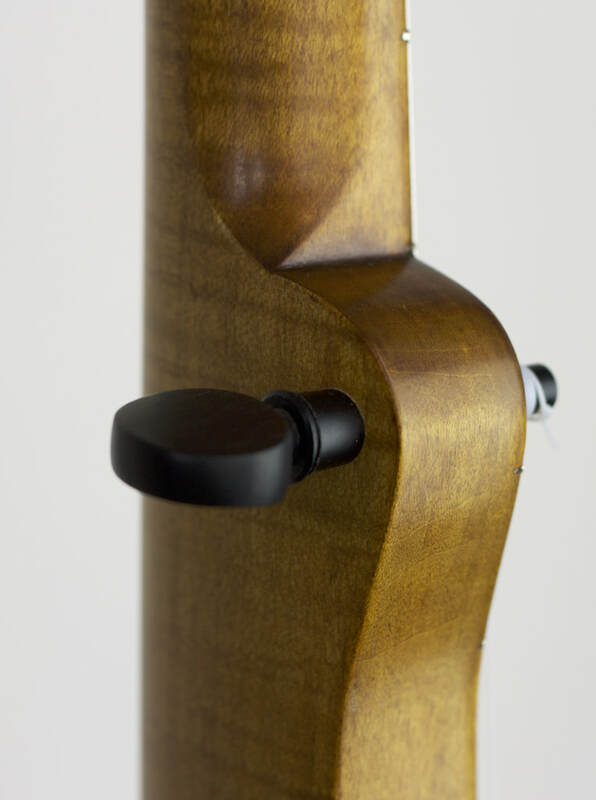 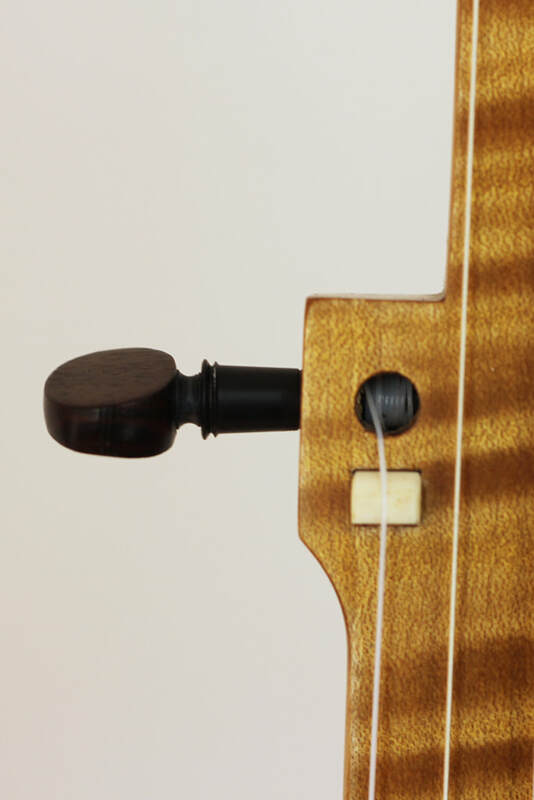 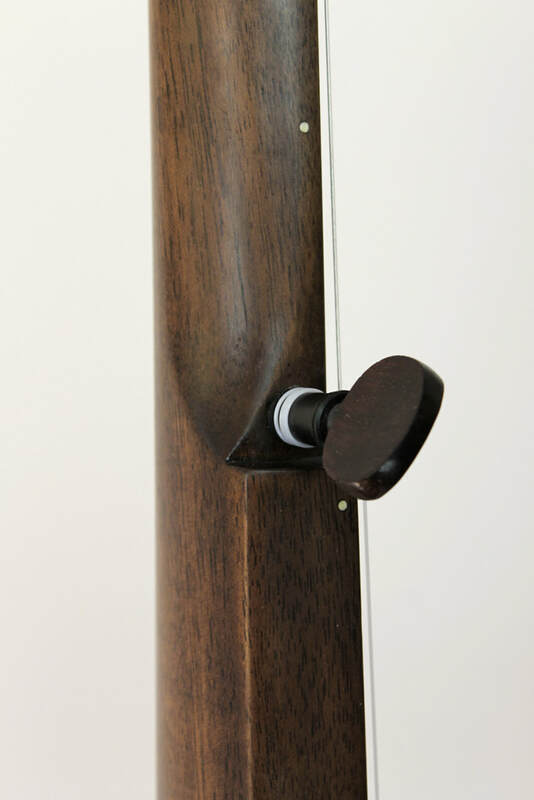 Geared turners, frets, gut strings, and custom details are an additional cost. 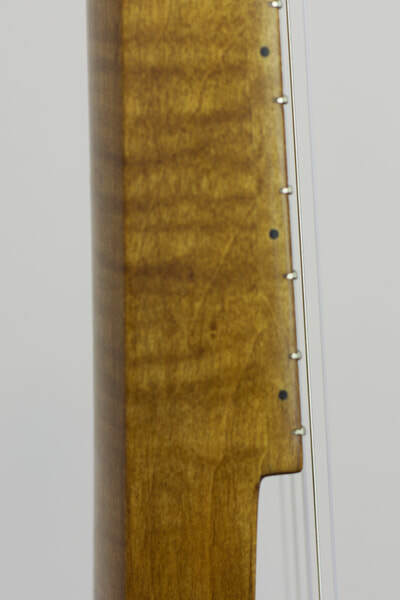 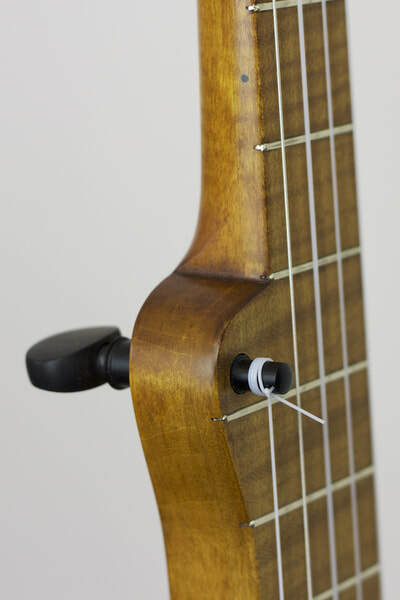 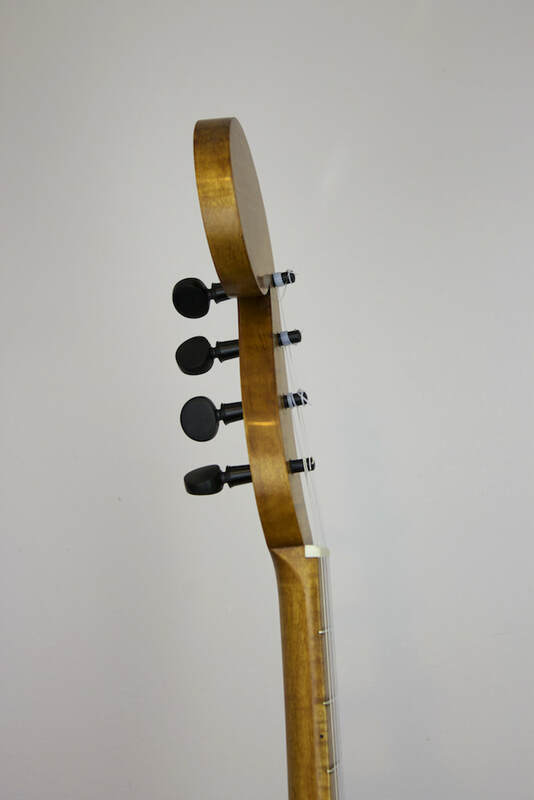 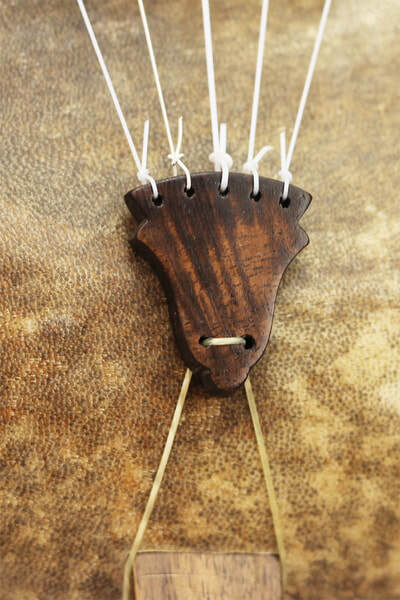 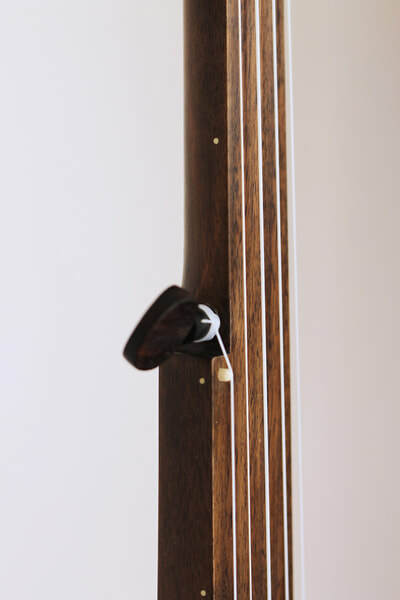 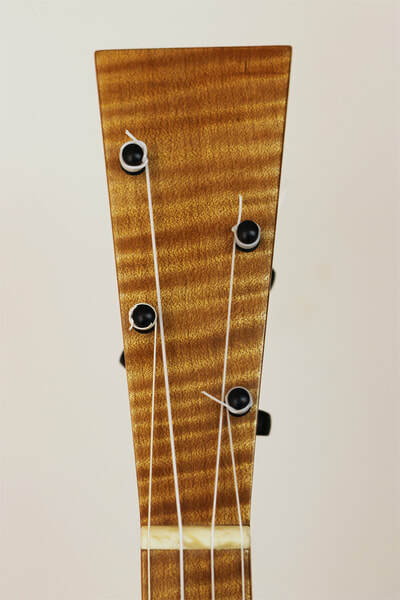 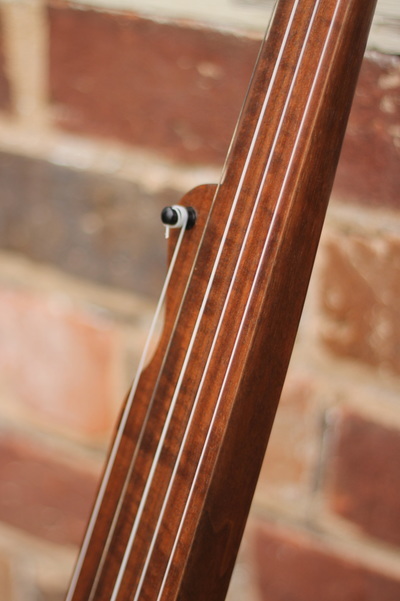 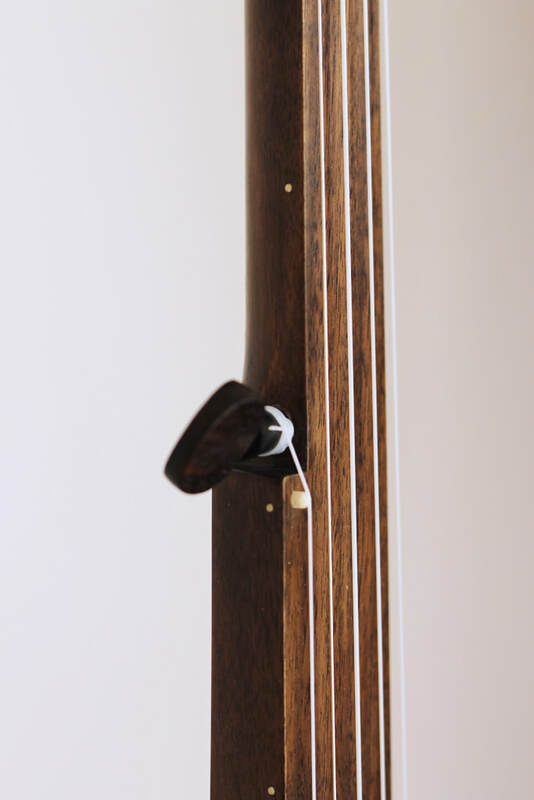 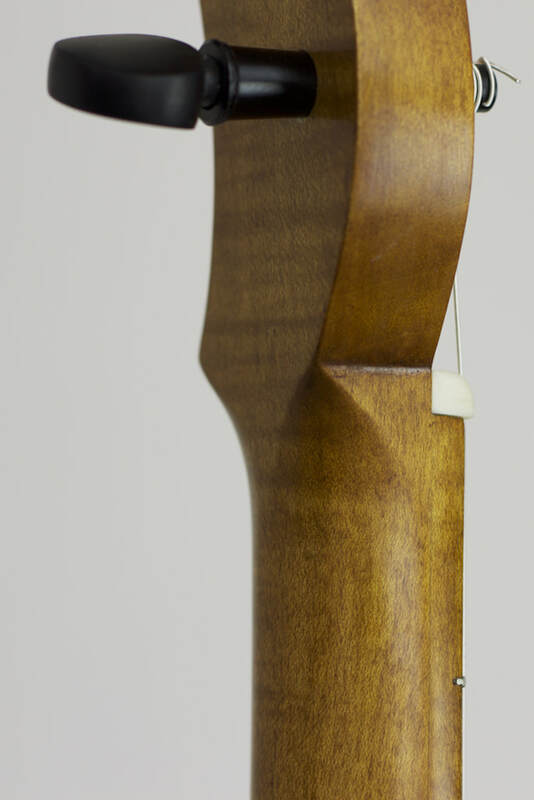 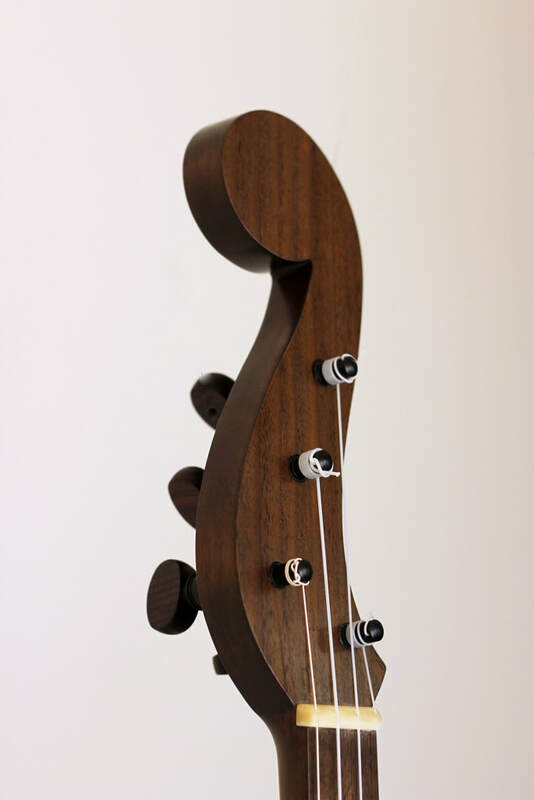 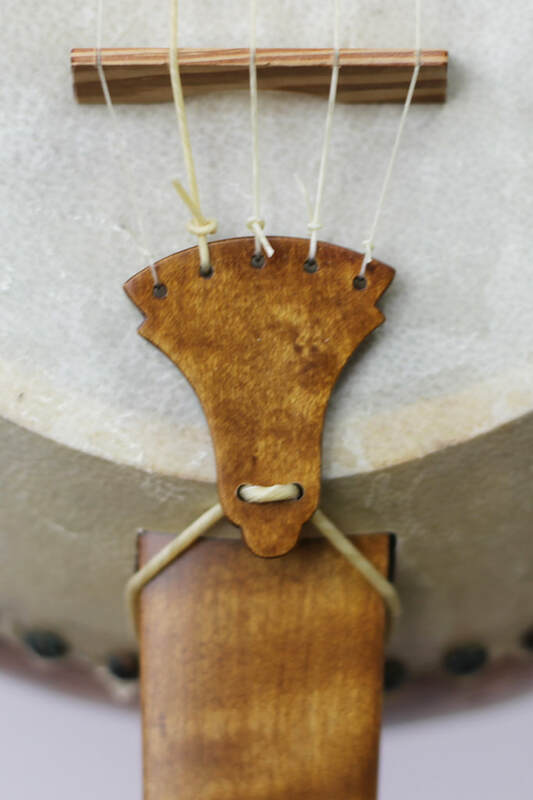 Walnut neck, s-peghead shape, simple horizontal 5th string, dyed gourd, medium-dark goatskin head, and dark matte tacks. 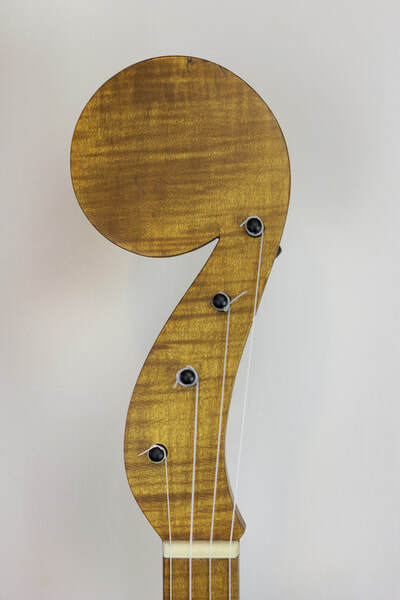 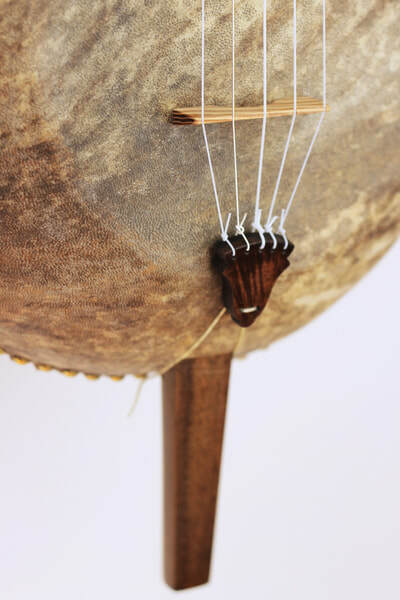 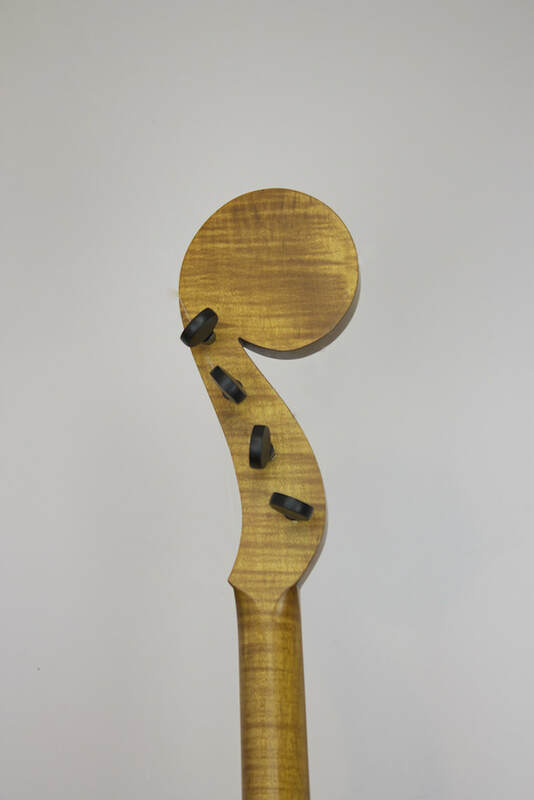 Walnut neck, s-peghead shape, simple horizontal 5th string, side-dot position markers, dyed gourd, dark goatskin head, and brass tacks. 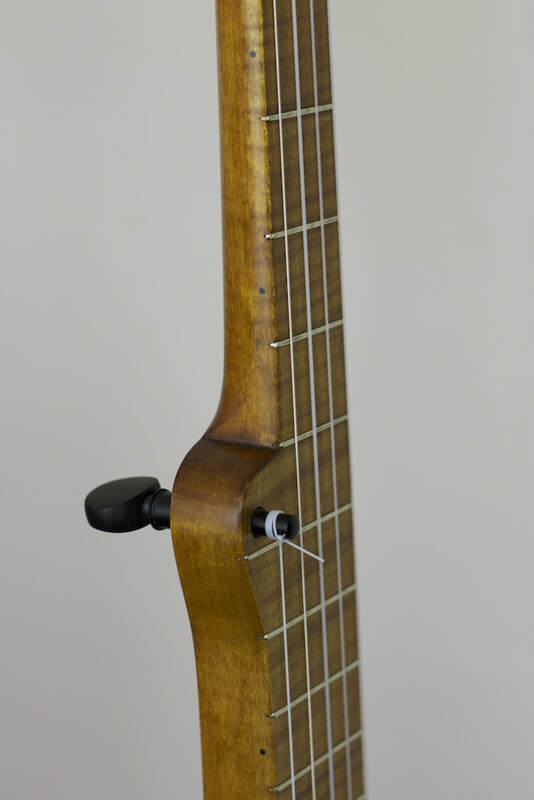 Figured maple neck, curved paddle-shape peghead, pegbox 5th string, lightly dyed gourd, light goatskin head, and hand-patinated tacks. 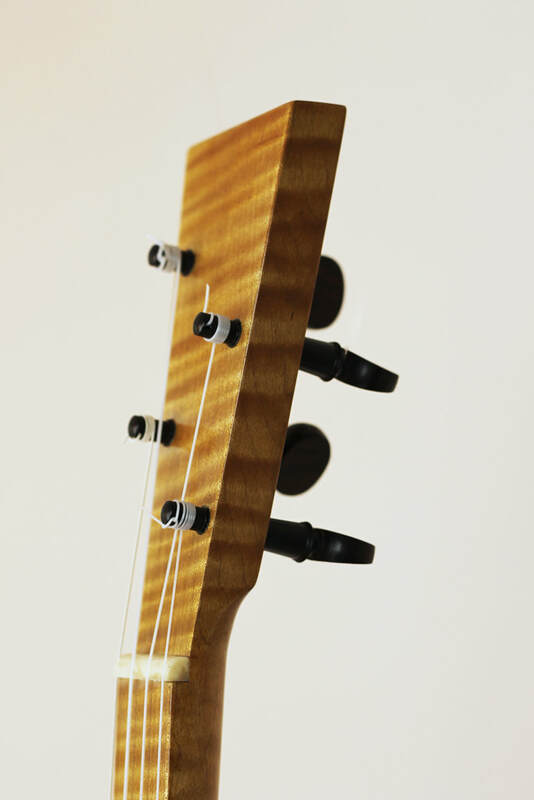 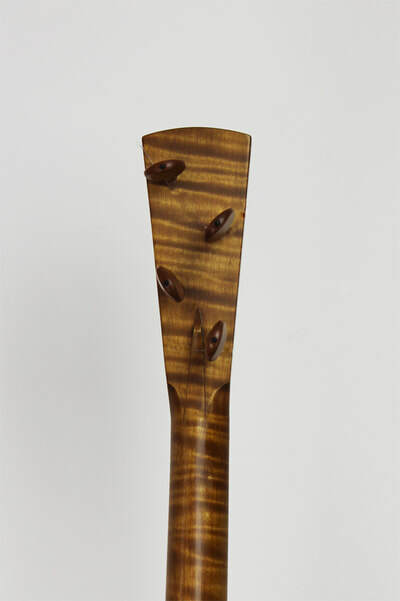 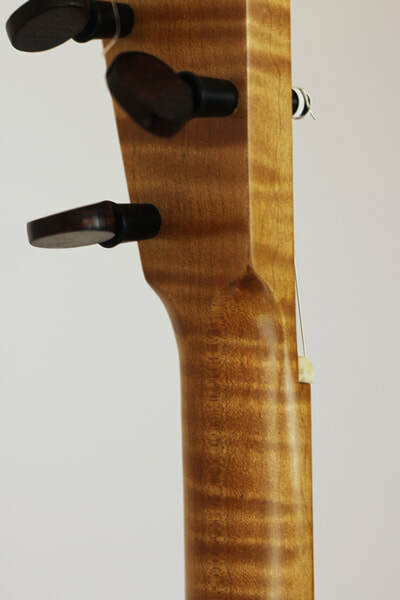 Figured maple neck, flat paddle-shape peghead, pegbox 5th string, lightly dyed gourd, light goat-skin head, brass tacks, and s-shaped sound holes. 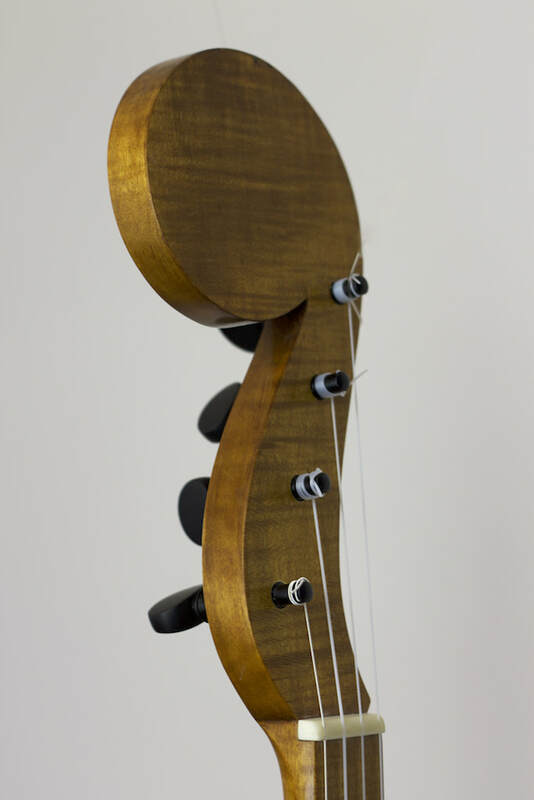 Custom 5-String. 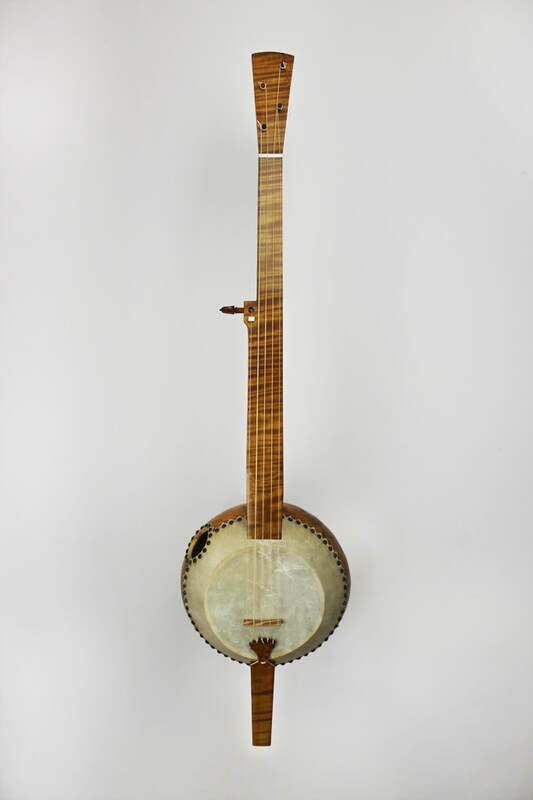 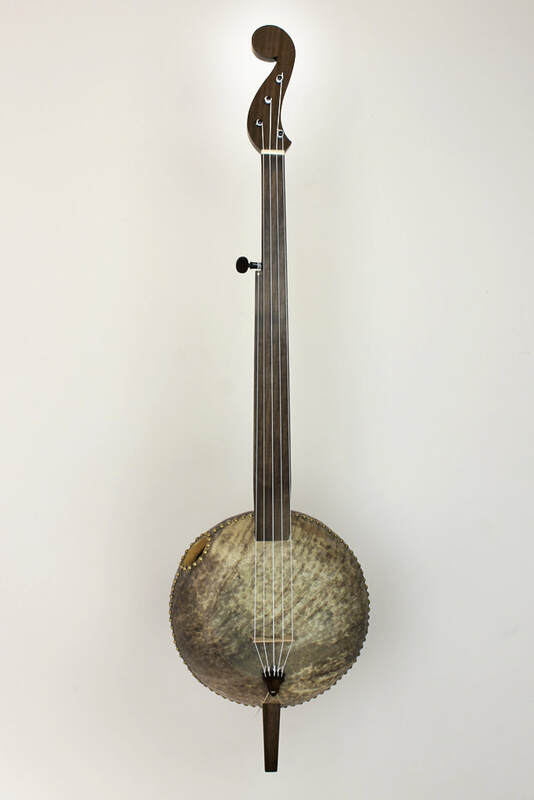 The design is based on a c.1835-1840 banjo by an unknown maker and featured on the cover of the Katonah Museum of Art's catalog for the exhibitThe Birth of the Banjo. Figured English sycamore, frets, simplified ogee 5th string peg, dyed gourd, and brass tacks. 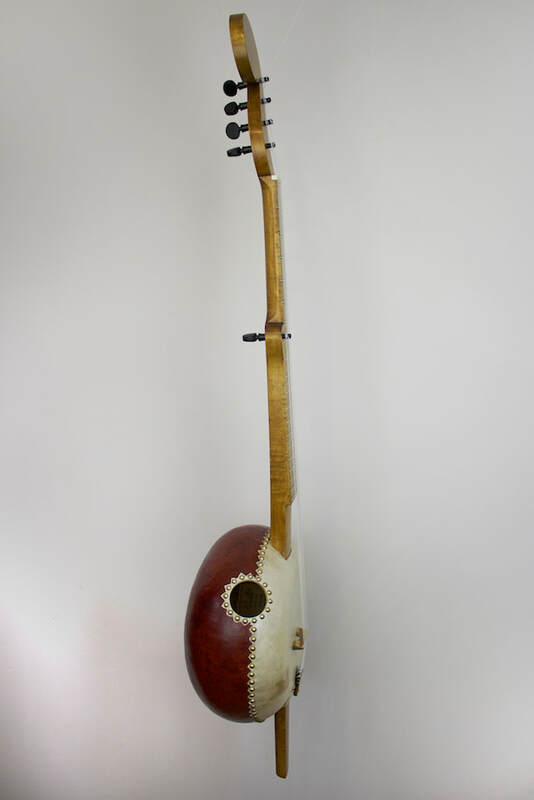 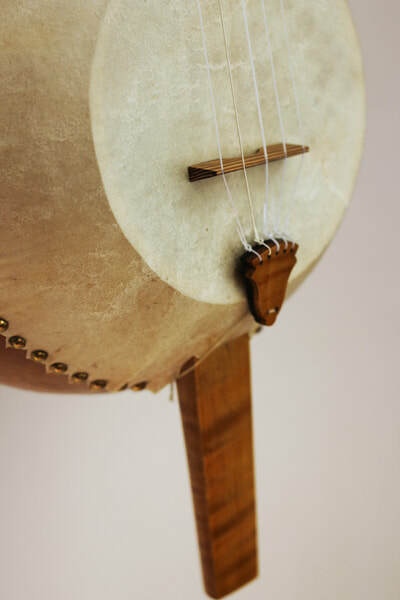 The Minstrel Era is hybrid instrument, wedding a neck like to those found on the earliest wooden rimmed banjos to a gourd body, similar to those of the earlier, pre-commercial banjos. 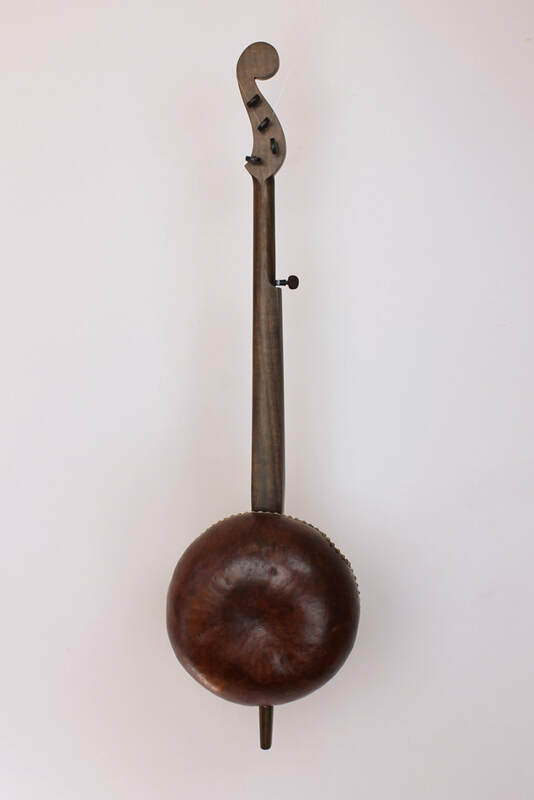 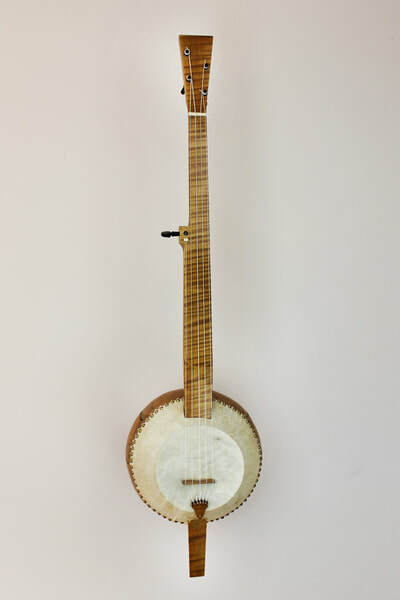 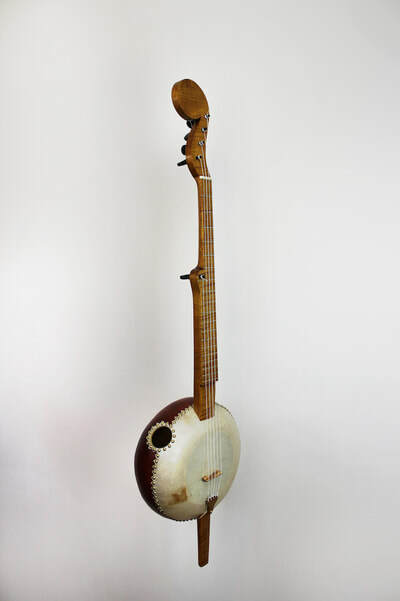 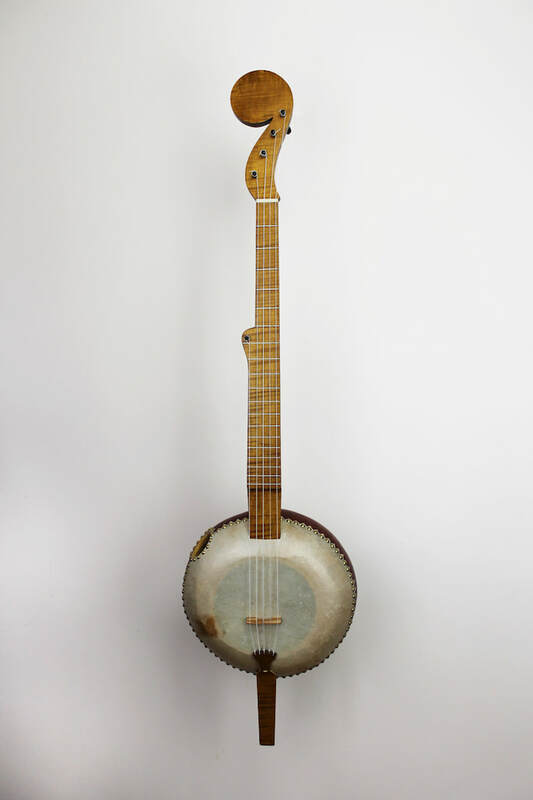 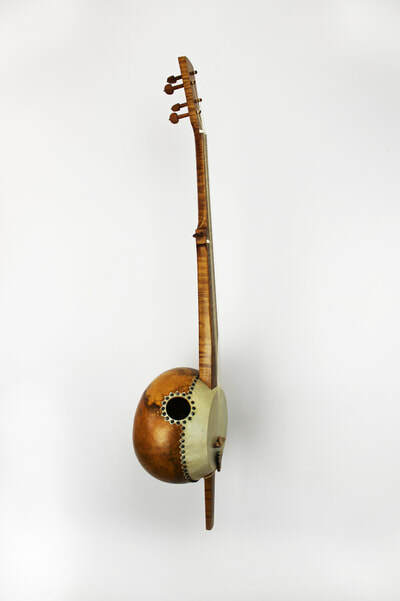 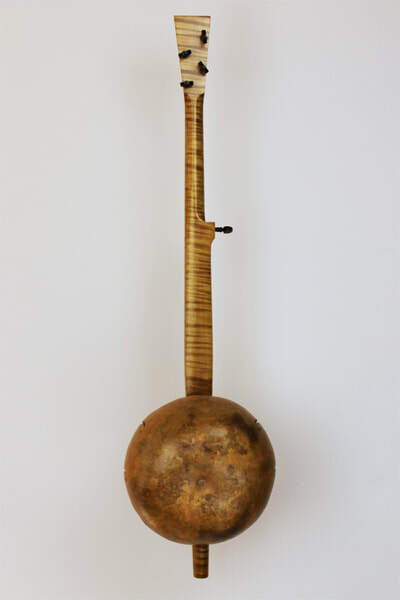 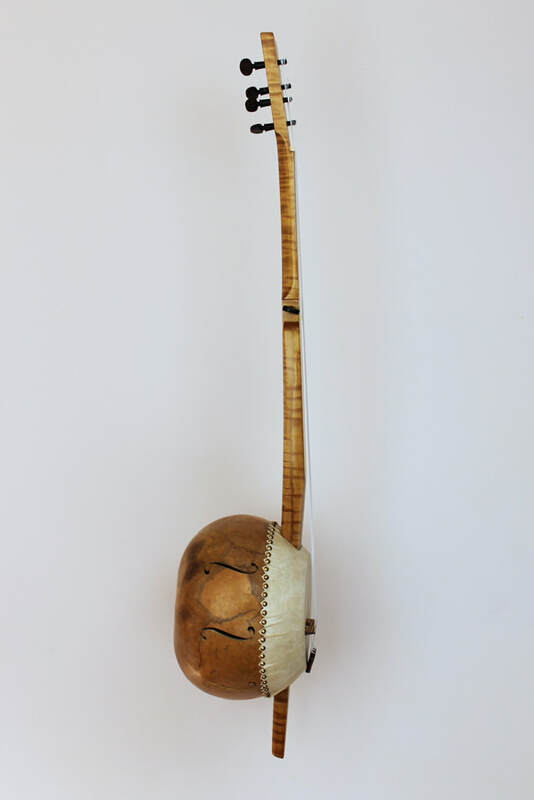 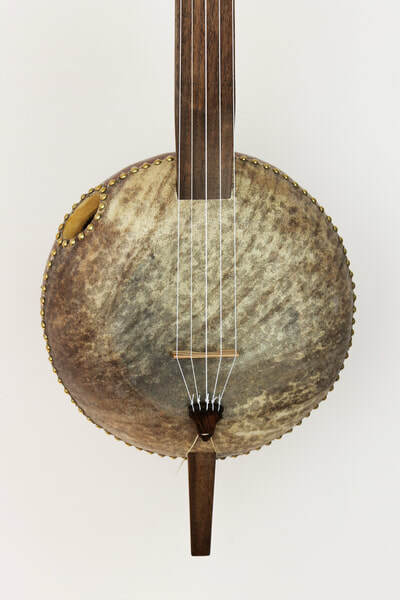 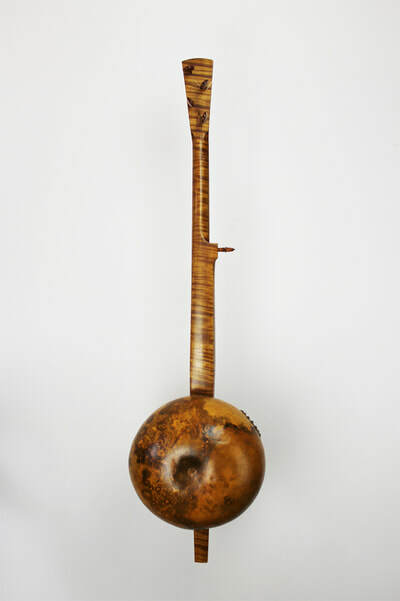 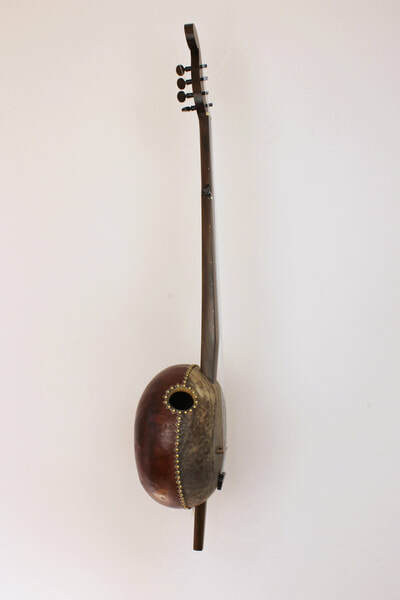 In 1992 Pete examined a banjo like this in the Metropolitan Museum of Art in New York City, which many people thought to be the earliest known gourd banjo. What Pete found was actually a construct. 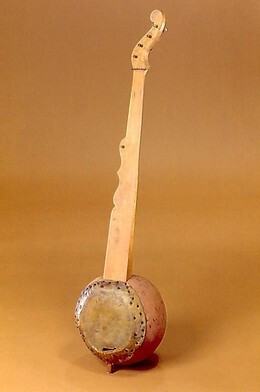 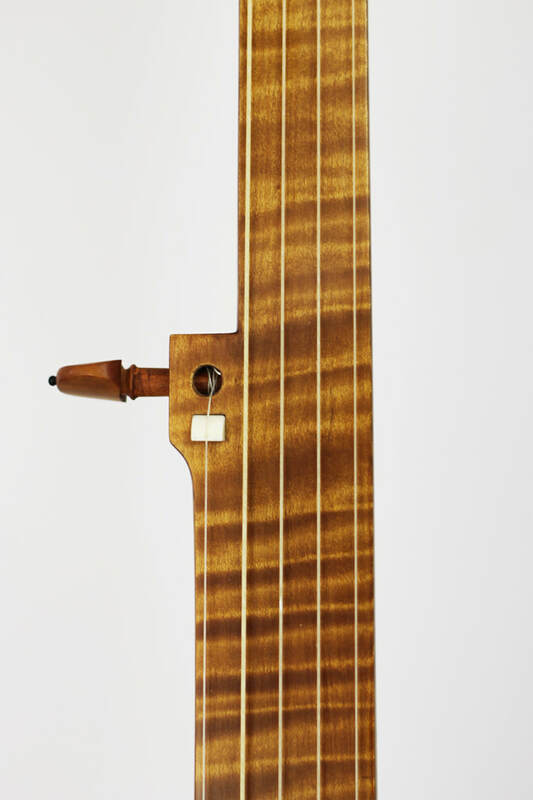 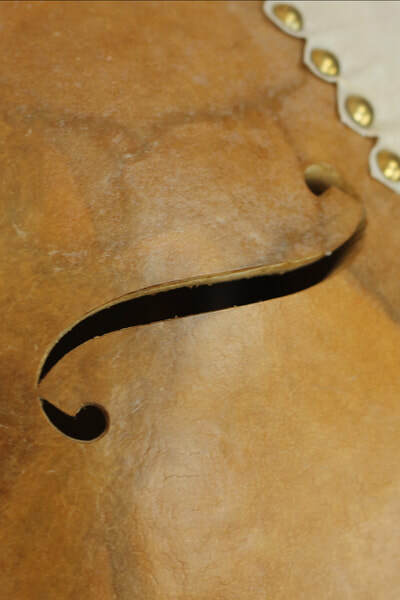 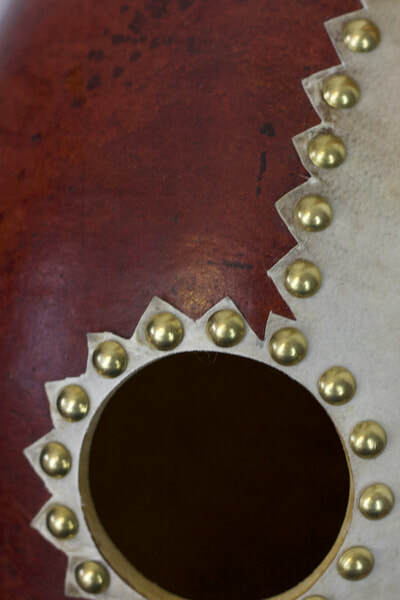 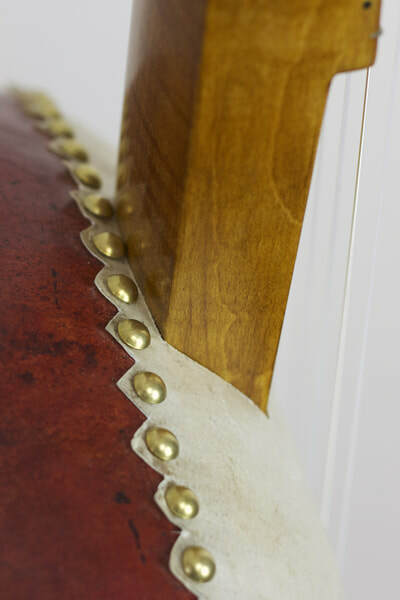 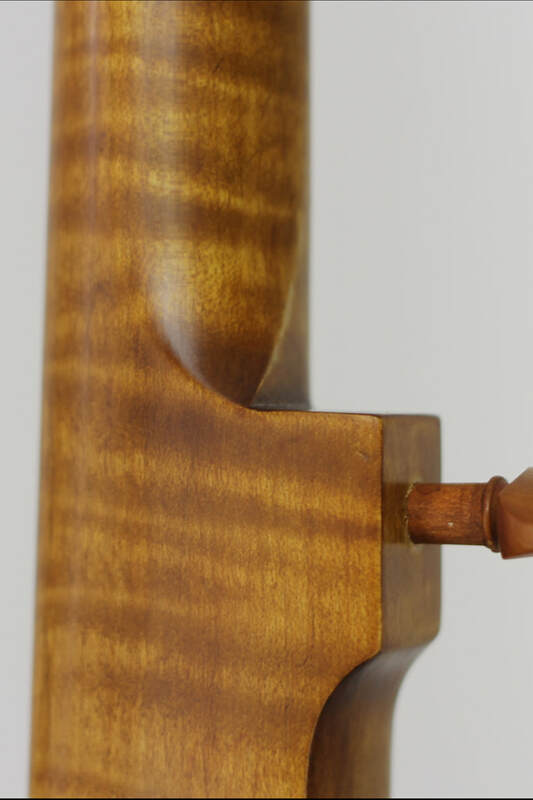 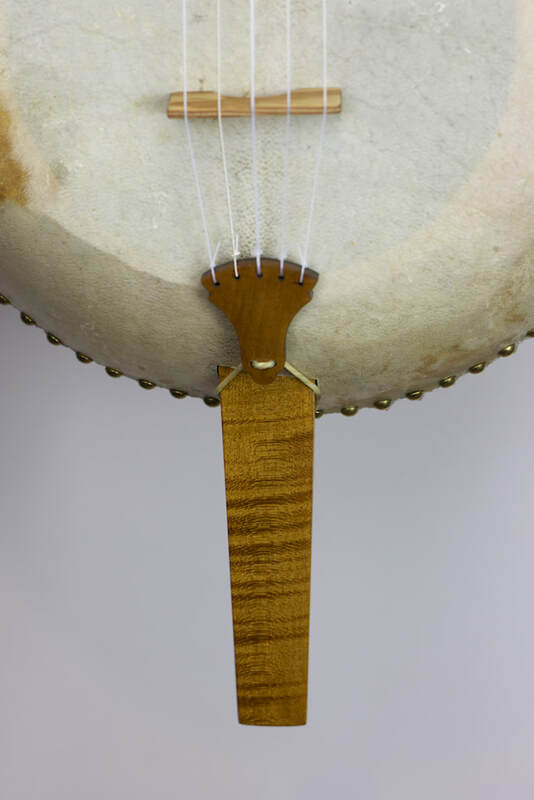 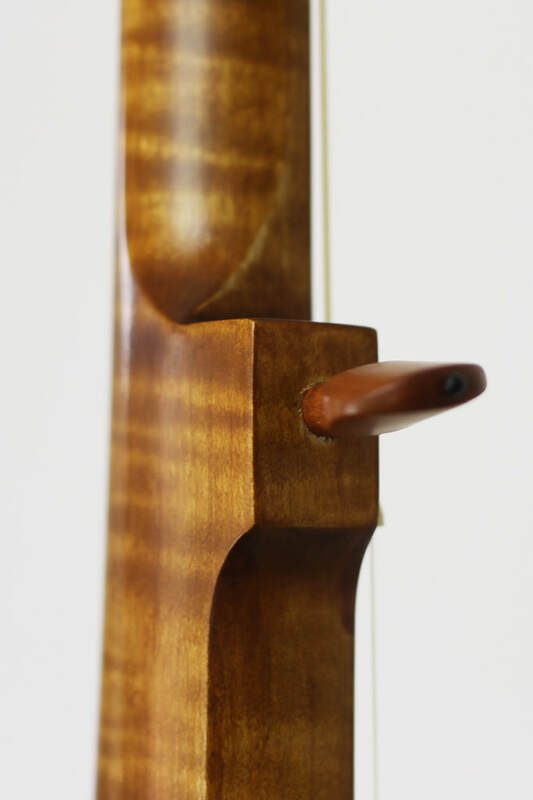 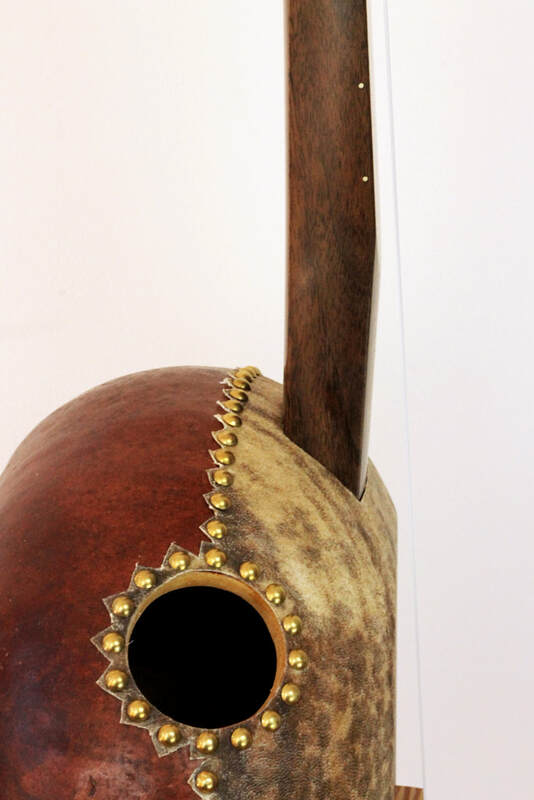 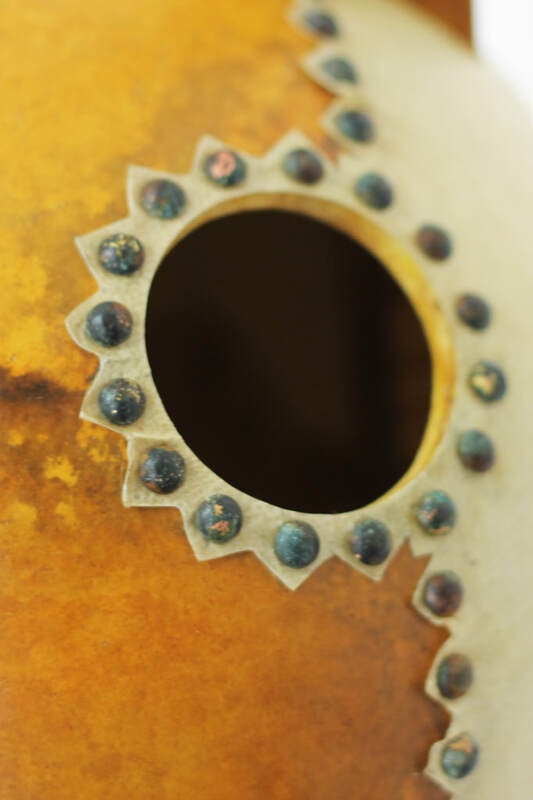 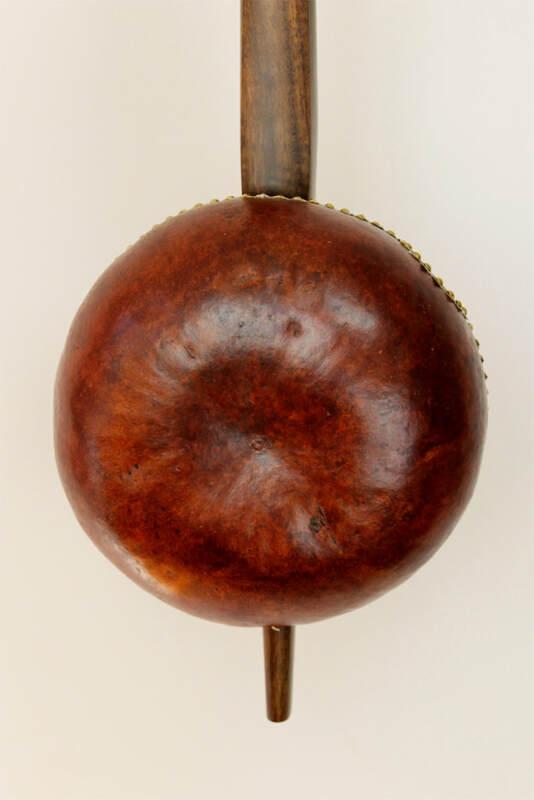 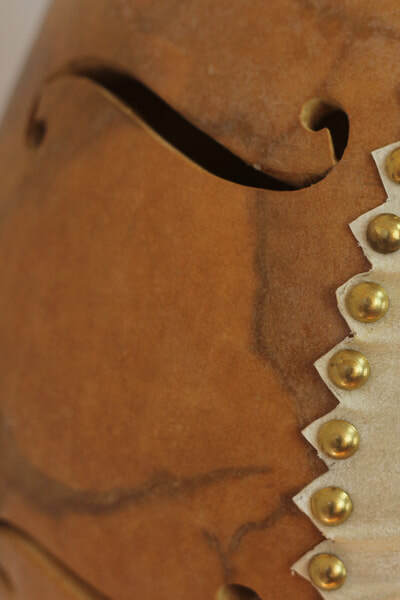 The neck of a conventional, wooden rimmed banjo made by commercial maker William Boucher in the 1840s had later been crudely joined to a replacement gourd body. 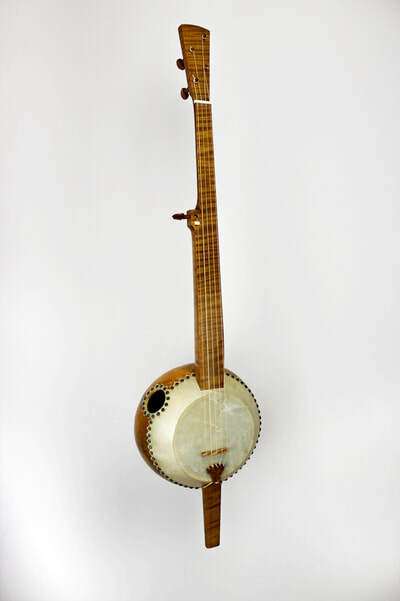 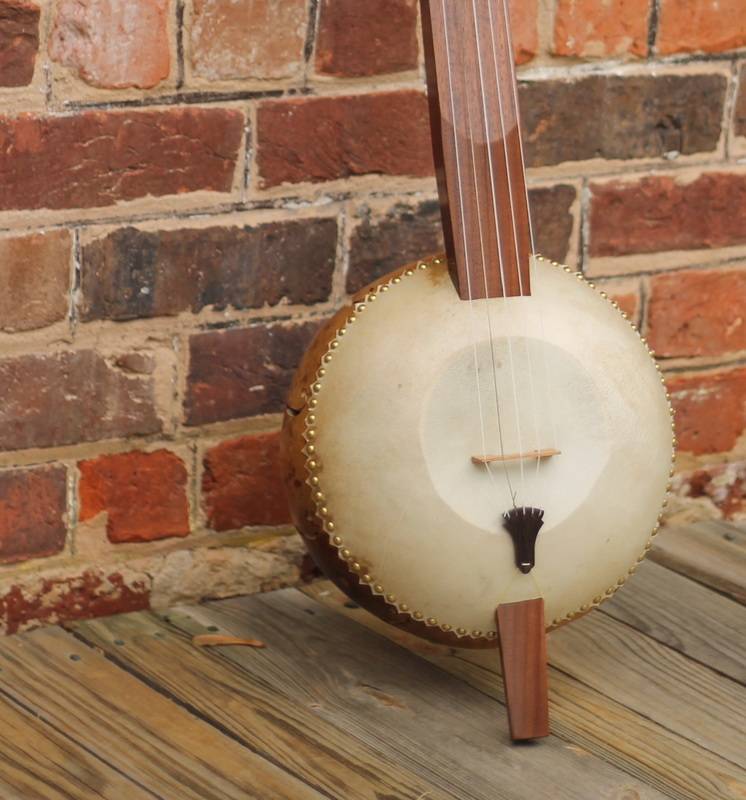 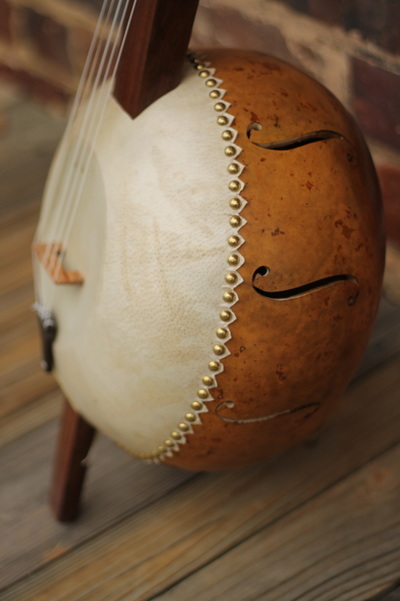 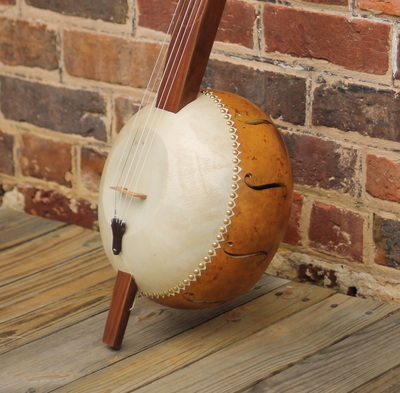 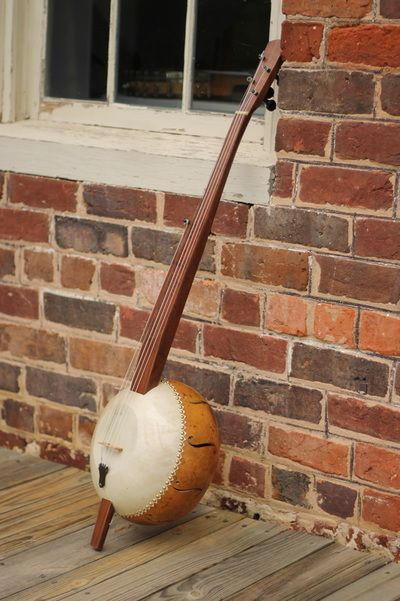 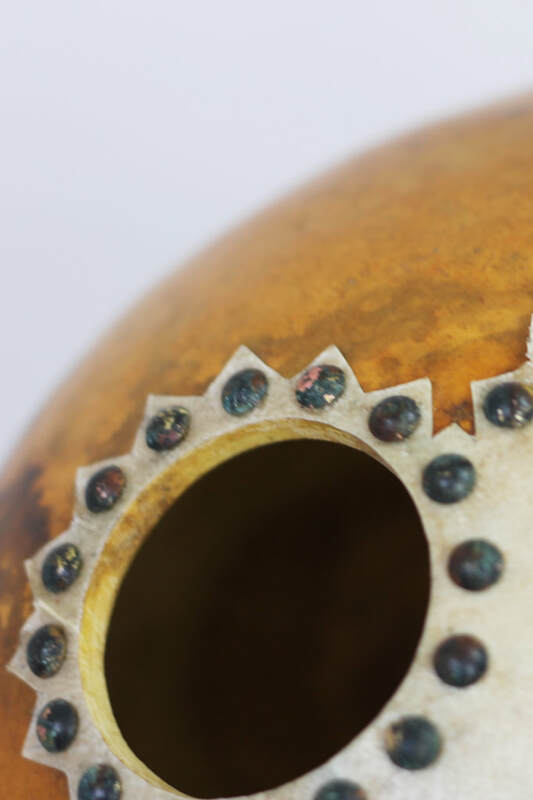 This banjo -- an 1840 European American banjo neck attached to a gourd sound chamber -- has become the pattern for almost all gourd banjos made since the 1980s, but it may not actually be similar at all to antebellum American gourd banjos.